Above is the class sample I just finished. It is my version of the newly released Deb Tucker pattern called “Sea Glass”, a companion pattern for the Diamond Rects Tool. It measures 54″ x 66″. I decided to use the focus fabric on the bottom of the quilt only. I have a great collection of embroidery designs from OeSD called “Fish Fantasy”. 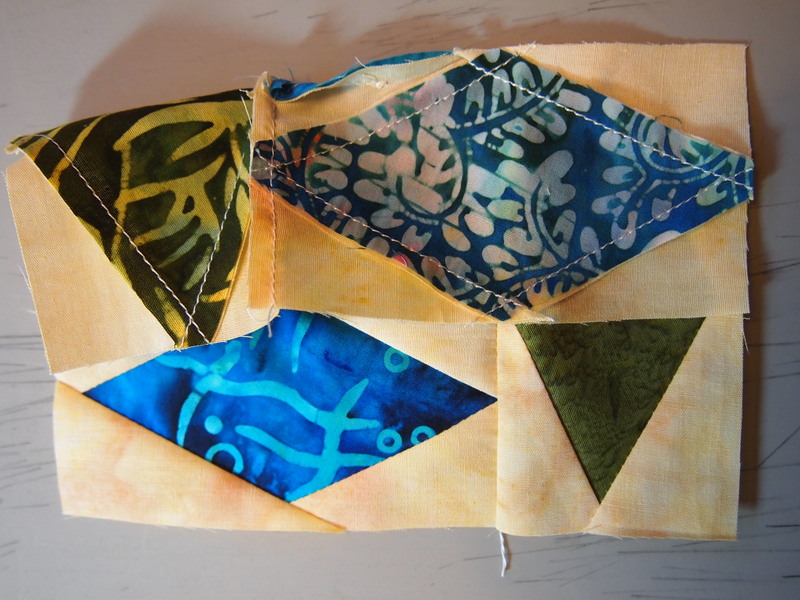 I pulled thread colors for the fish from the focus fabric. I think it came out cute! Above is the Diamond Rects Tool. It has 3 sections: the Center Diamond cutting section, the Side Triangle cutting section, and the Trim Down cutting section. Now you can make the elongated diamond units needed for any Storm at Sea project. 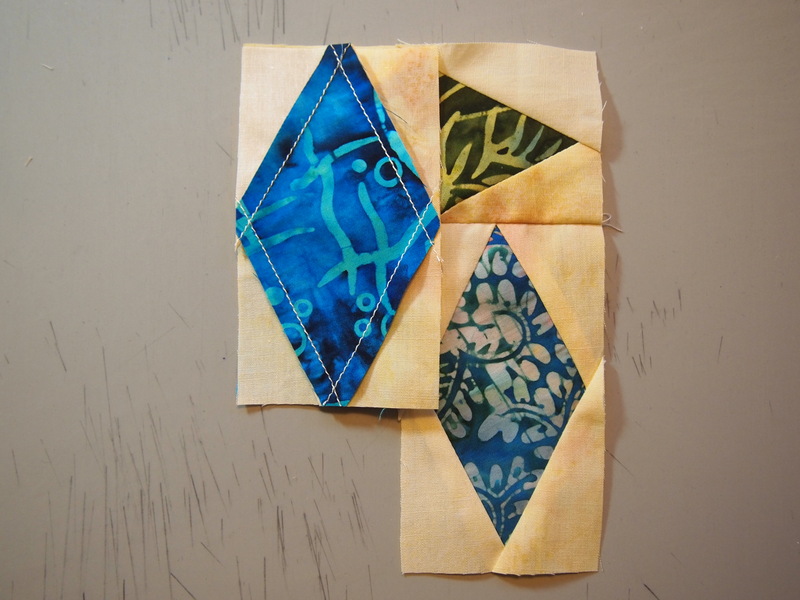 For the Sea Glass Pattern you will need to start the spinning diamond blocks by using a partial seam method. I chose 4 different colored diamond units. 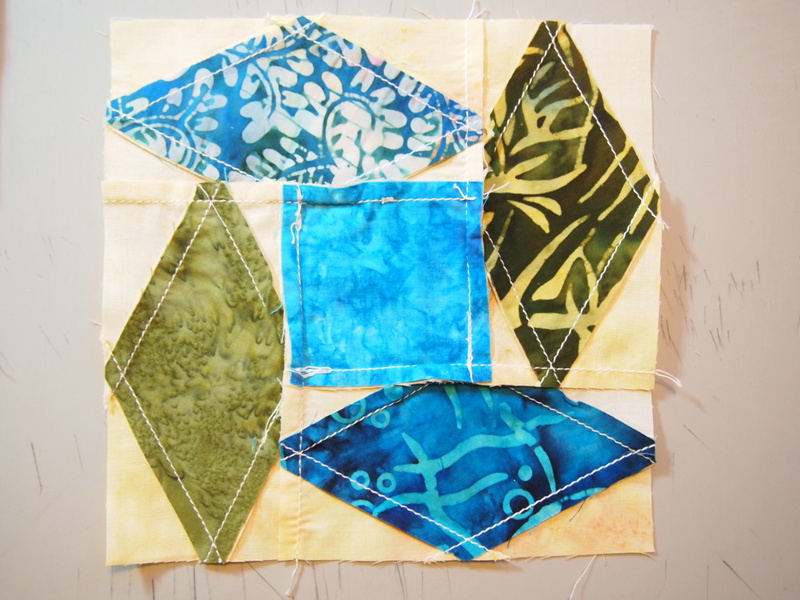 Position the first diamond rectangle unit rights sides together with the center square and stitch about 1 1/4″ to 1 1/2″ from the end. 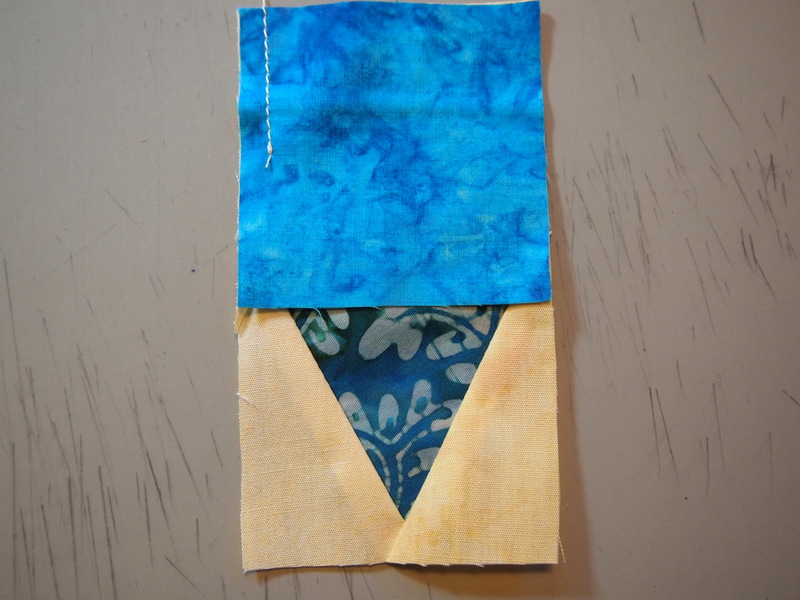 Press the seam away from the center square. Position the second diamond rectangle unit on top of the partially pieced section and stitch from raw edge to raw edge. Again press away from the center square. 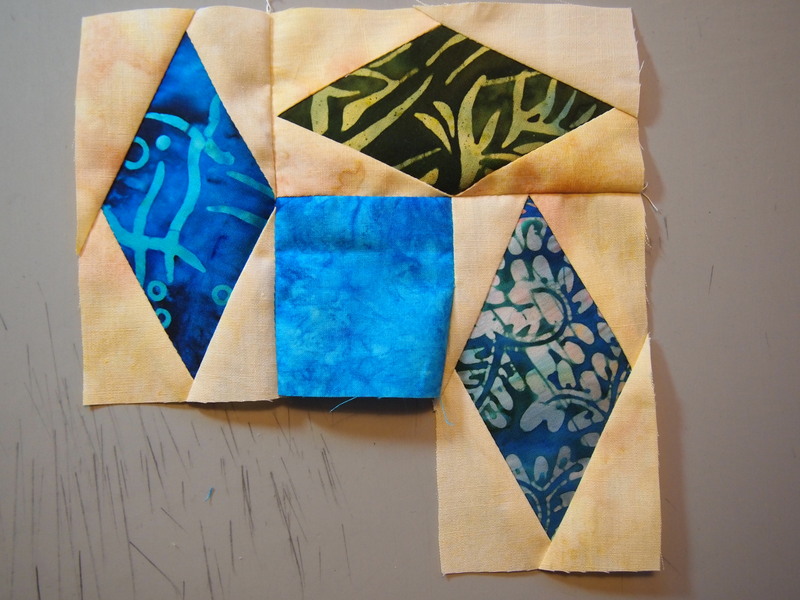 Continue adding the third diamond rectangle. 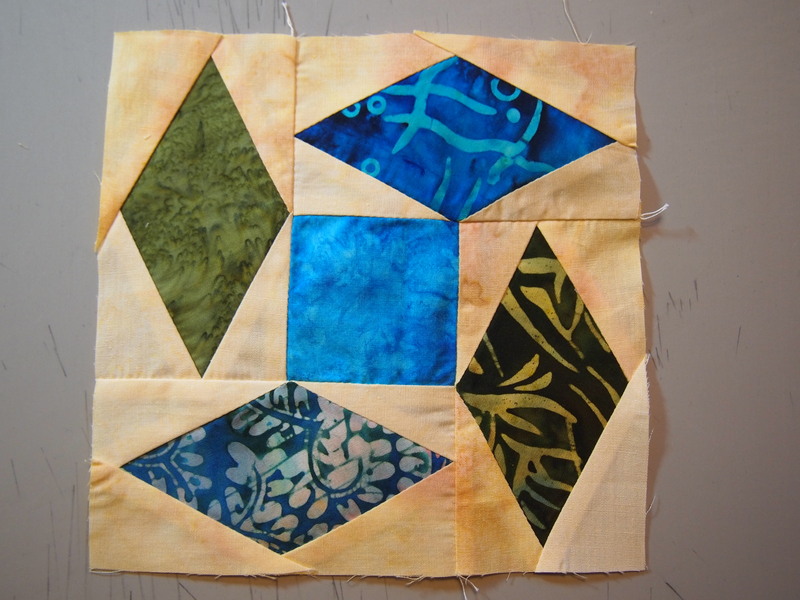 Add the fourth diamond rectangle unit in the same manner, always pressing away from the center square. 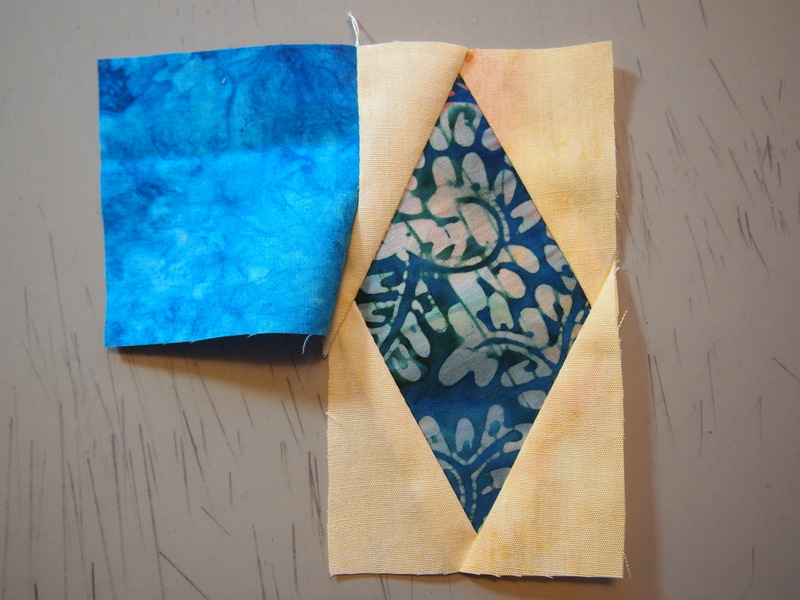 Complete the block by reinserting the needle at the end of the stitching line and sew to the raw edge of the block. 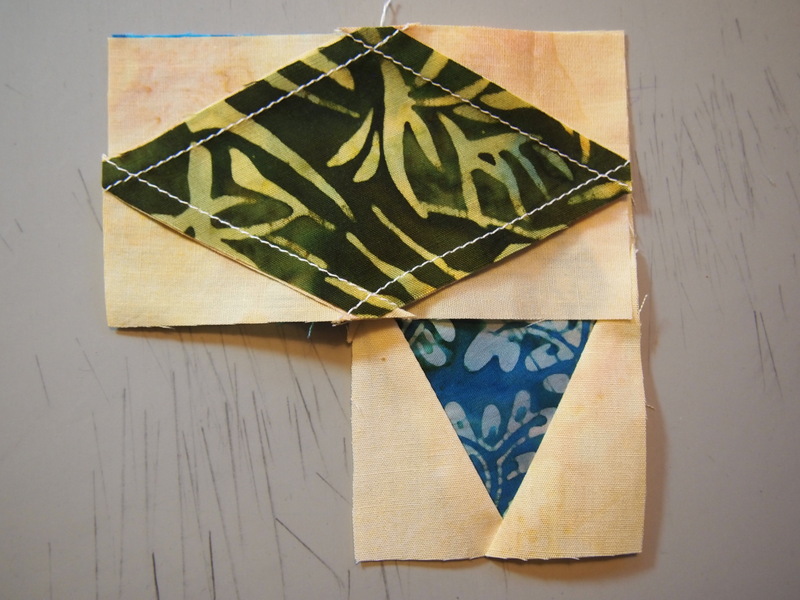 All the seams are pressed away from the center square. The finished spinning diamonds block. 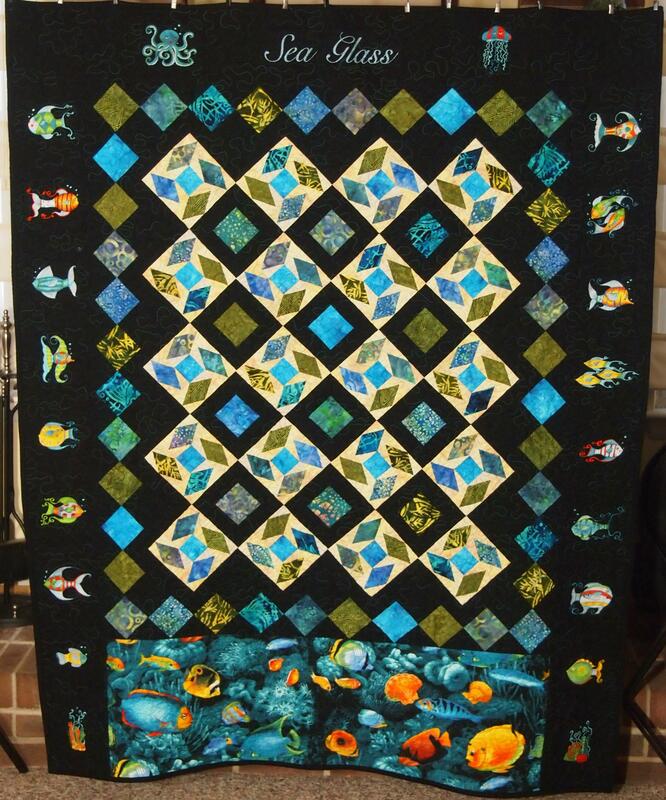 This entry was posted in Sea Glass and tagged Deb Tucker, Diamond Rects Tool, Machine Embroidered Borders, quilting, Quilts, Studio 180 Design on February 6, 2014 by ifthesethreadscouldtalk. Thank you so much for posting this. 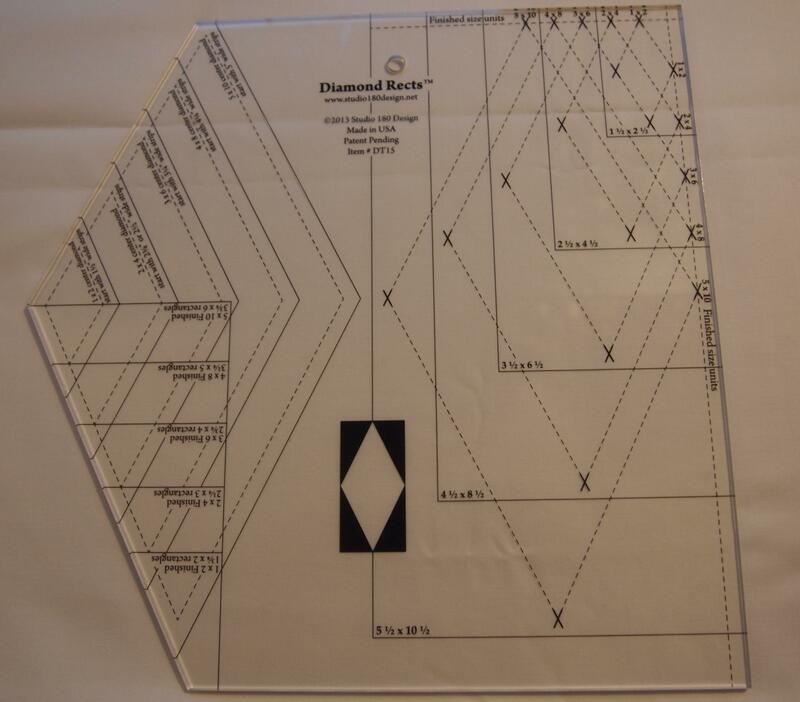 I just got the diamond rect ruler and have been making them like crazy. I wasn’t sure how to do the block though and your pictures really help. I have bought seven of Deb Tucker rulers. Can’t wait to learn how to use them all. I’m so glad you are a Studio 180 Design fan. Let me know if you have any questions. Way simpler process than it looks at first glance. I’ll definitely look this up. Thanks for sharing. Your quilt is beautiful. Thanks. This block is pretty cool. Next I want to try a Storm at Sea project with the Diamonds Rects tool.